You see oil in an interesting thing. It contains additives which help lubricate and clean the internal parts of the engine and it has a base oil. Once those additives are broken down and the base oil degrades the oil needs to be changed. So changing it every "x" miles in your car may not always be the best thing. If you change it too soon the detergents have cleaned the internal parts but the other additives have not had time to do their part and protect the internal engine parts. If you wait to long to change it the detergents just keep cleaning and the oil doesn’t protect the engine correctly. There are a lot of variables that determine the length of time an oil will last, type of oil, running temperature, etc.. A lot of people -- and companies -- waste a lot of money changing the oil in their vehicle and/or hydraulics systems based on a maintenance schedule (which is based on numbers of miles, in the case of cars, and numbers of hours of service in the case of hydraulic systems) without really knowing if the oil is bad or not. They may be throwing away good oil and as oil prices increase so does the cost of maintenance. Who likes wasting money? A good maintenance schedule for oil changes begins with an oil analysis every so often. So in the beginning of creating your oil change history you should do an analysis (and at around $40 a shot it may be well worth it when you are protecting thousands of dollars’ worth of equipment). The first step would be to do an oil analysis about 1/2 way through your current maintenance schedule and see what the oil has left, another one 2/3’s of the way through and again at the end of your current maintenance schedule. If the oil is bad at 2/3’s through then you need to change your oil change interval. If it is still good at the end of your maintenance schedule then you can extend the time between oil changes and do another analysis at another interval until you determine the oil is finally bad. You can then adjust your maintenance schedule (and start the process over again) and do this until you are satisfied with new schedule -- ultimately checking the oil less frequently. This simple step could save you thousands in repairs down the road or over the lifetime of the system utilizing the oil. 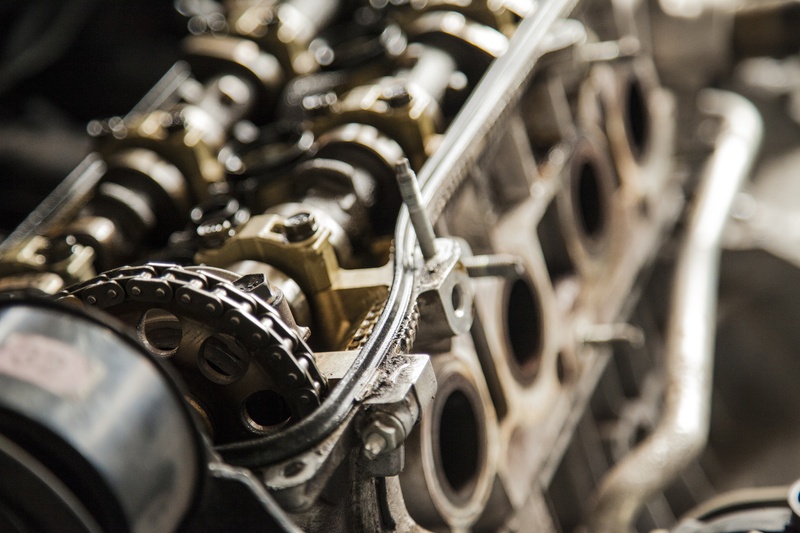 Not knowing when to change the oil in a hydraulic system is one of the major contributors to hydraulic system failure which can be avoided just by some simple changes in your service schedule. Another factor is the filter. Changing the filter too soon is a waste of money and changing it too late (after the hydraulic system went into bypass) allows the dirt to eat away at your expensive system. A filter should be changed when it can no longer work. An easy way to assess if a filter is no longer is good is to measure the pressure drop across the filter and then determine the pressure drop right before it goes into bypass. Then you change your filter because you know the filtering capacity of the filter has been reached. If you include these two simple steps into your maintence processs you can save yourself all the grief of having a system fail, stopping production and loss of profits as a result of not fine tuning your system's maintenance schedule. What other processes have you found to be of value when it comes to fine tuning your maintenance schedules?